For children 4 years of age and up. 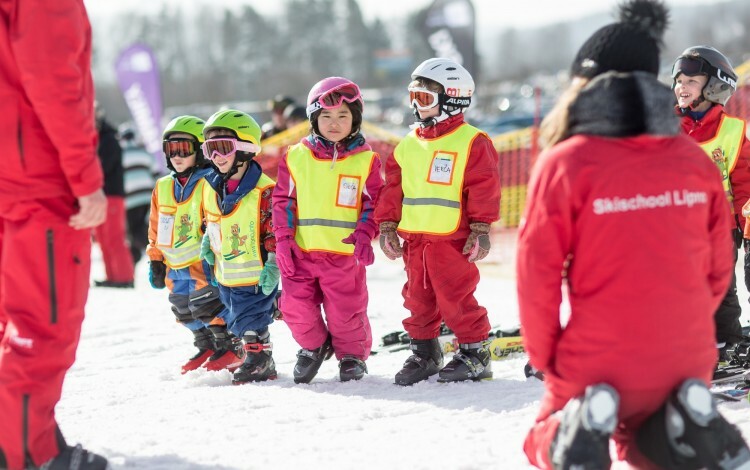 In ski school counter, you have the last chance to discuss the skiing level of your child with the staff to avoid the wrong inclusion of a child in a wrong group. 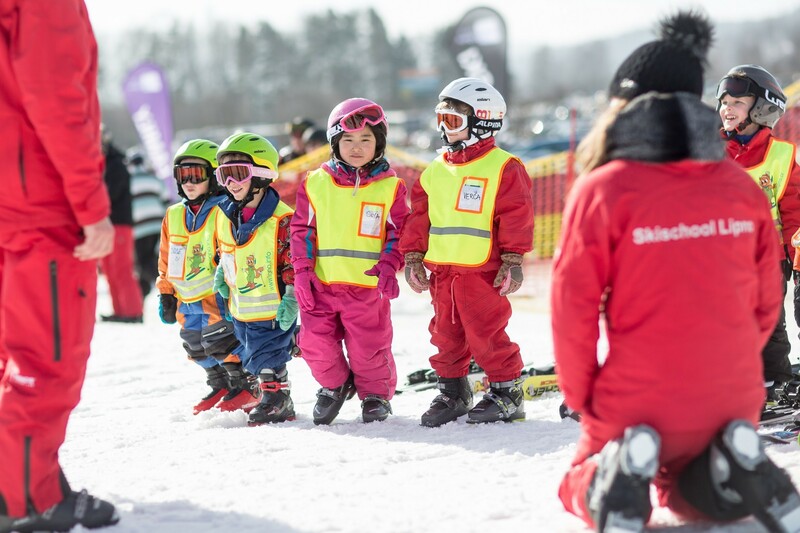 Upon payment, you will receive a card with the information about the meeting point (number of flag) with the instructor, a vest for your child with a name tag and a skiing diary. Give them sun or ski goggles. You will meet your instructor and the other group members 3 minutes before the start of the lesson. The meeting point is between the main parking and Fox Park at the flag number written on your card from the counter. 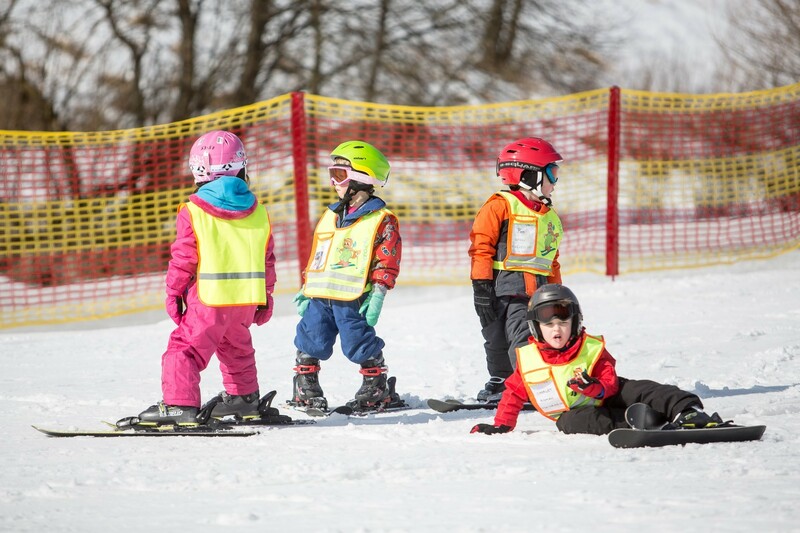 If you are still unsure about the child's skiing level, talk to the instructor. The instructor will wait with you until the last participants of the group course arrive but maximum of 5 minutes after the beginning of the course. He will tell you where the lesson will be held, where and when you will meet after the lesson. In the case of large groups, the group starts at the beginning together and divides into smaller sub-groups according to the current level during the first two-hour lesson. 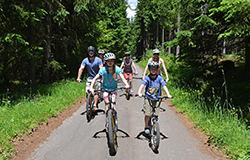 Beginners learn the first steps on the skis, downhill ride, safe stopping or an easy slalom. 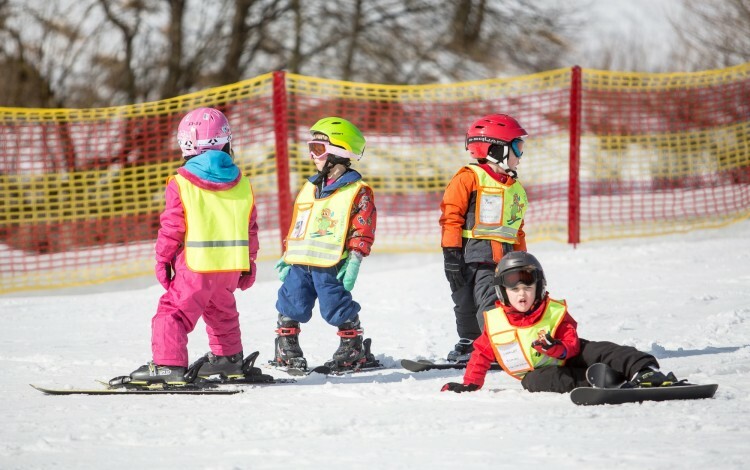 Advanced skiers will show their skills to the instructor. If they can stop and know the basics of the turning, they can go to the slope. During lessons, smaller groups are created or the children can be reassigned to another group based on their skills, so you need to remember the instructor name and the flag number at the end of the lesson where you will meet for the next lesson. The instructor terminates the lesson in Foxpark or at the meeting point, where it has started. It is necessary to be there in time so that the instructor and the children do not have to wait. In case you do not like the level of the group, talk to the instructor immediately. 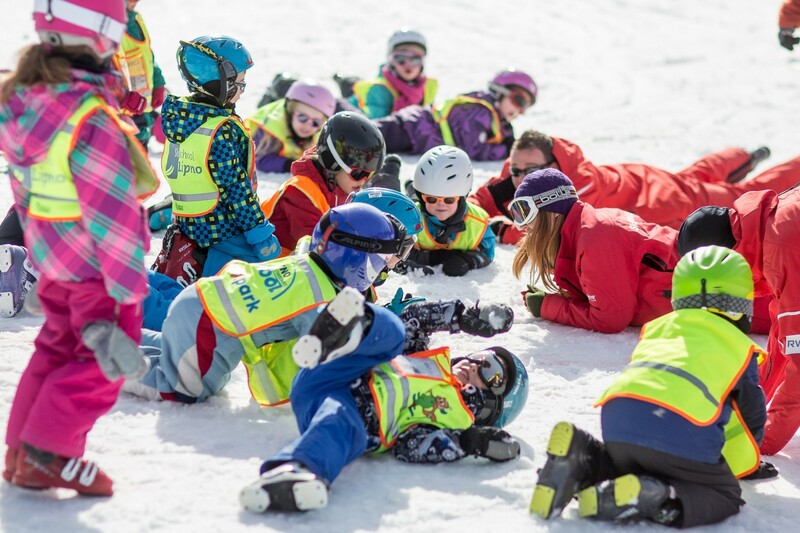 The instructor evaluates the first lesson, tells you the meeting point for another lesson and informs you about the need for ski passes or ski poles for the next lesson. Further lessons continue with the same composition of the group that formed after the first day. Beginners after mastering stopping and the basics of turning can leave the Fox Park and go down the easy blue slope. In this time, it is needed to have a purchased ski pass. Every Thursday, the children compete in a race. In the afternoon, there is a ceremonial announcement of the winners and the distribution of the diplomas to all participants. Extend the lesson to other days. Your child will continue in the same group with the same instructor. In ski school counter, you have the last chance to discuss your skiing level with the staff to avoid the wrong inclusion in a wrong group. Upon payment, you will receive a card with the information about the meeting point (number of flag) with the instructor. If you are still unsure about the skiing level, talk to the instructor. The instructor will wait with you until the last participants of the group course arrive but maximum of 5 minutes after the beginning of the course. Each lesson begins with a warming up and stretching so your body will get ready for the skiing. 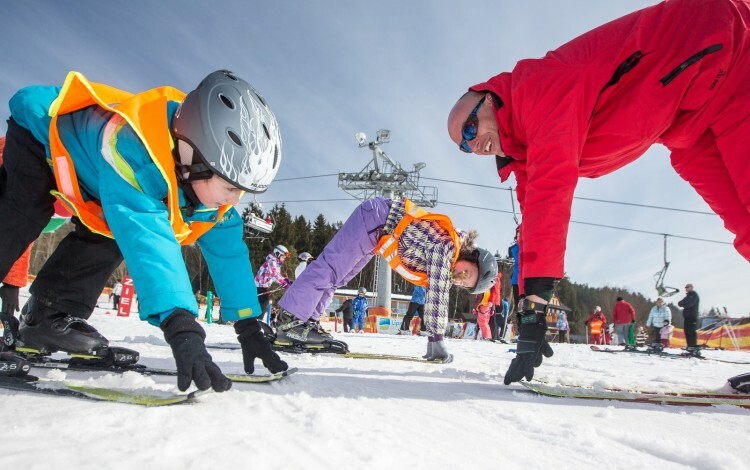 Beginners learn the first moves on the skis like walking, downhill ride, safe stopping or an easy slalom. 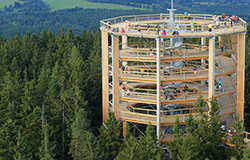 After the whole group manages the safe stop and the basics of turning, they can leave the Fox Park (area for beginners equipped with magic carpets) and go down the easy blue slope. 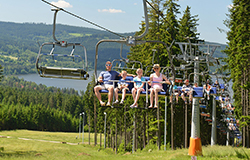 The lessons take place on the slopes, which are the most suitable for you. 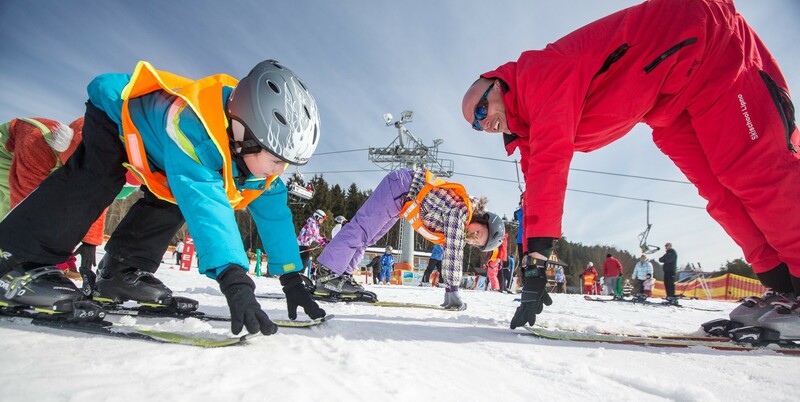 During the lesson, the instructor will give you for various tasks, exercises, and tips for improving your skiing. Extend the lesson to other days. You will continue in the same group with the same instructor.